Start your day with a visit to UBC Botanical Garden, Canada's oldest university botanical garden located on the western edge of the Lower Mainland, this untamed garden invites you to discover the 14-hectare David C. Lam Asian Garden and over 400 different species of rhododendrons, thousands of alpine and montane plants in the Alpine Garden, a traditional physic garden full of herbs, a demonstration food garden and the Greenheart TreeWalk adventure. Add a visit to Nitobe Memorial Garden, a traditional Japanese Tea & Stroll garden, considered to be one of the most authentic Japanese gardens in North America and among the top outside of Japan, and your visit is complete. 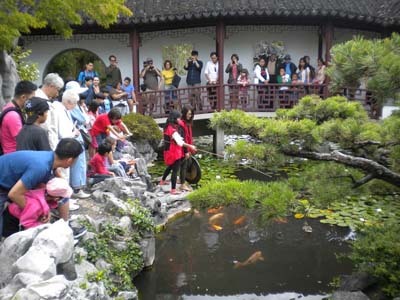 Make your way back to the heart of downtown Vancouver, Chinatown, for a stop at the Dr. Sun Yat-Sen Classical Chinese Garden, the first full-scale Scholar Garden built outside China using traditional techniques. Covered walkways and exquisite architecture make it a delight in any weather or season, with the same relaxing, serene landscape as found in the old, private gardens of China's ancient elite. This living museum promotes the understanding of cultures through daily tours, festivals, monthly art exhibitions, music concerts and unique live theatre productions in summer. 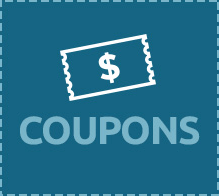 Be sure to check their special events calendar for evening programming. 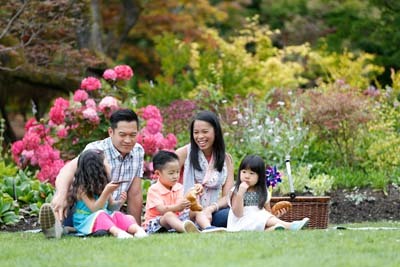 On your second day, combine a visit to VanDusen Botanical Garden, an inspiring 55-acre outdoor oasis with over 7,500 plant species and varieties. 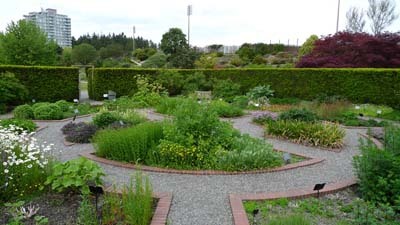 Make time to spot and photograph local wildlife, enjoy the hedge maze with the kids and relax in a serene setting located in the heart of Vancouver. Bring a picnic or dine on the patios of Shaughnessy Restaurant or Truffles Café. 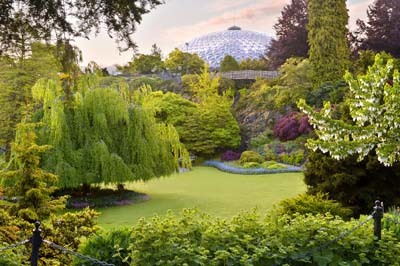 With a trip to the Bloedel Conservatory, high a top Queen Elizabeth Park, enjoy exotic birds, tropical flora in the rainforest and subtropical and desert biomes. Take in the stunning 180-degree panoramic view of the cityscape and mountains before enjoying this manicured park featuring formal gardens, ponds, cascading waterfalls, and large art sculptures.